Picturesque Tuscany. 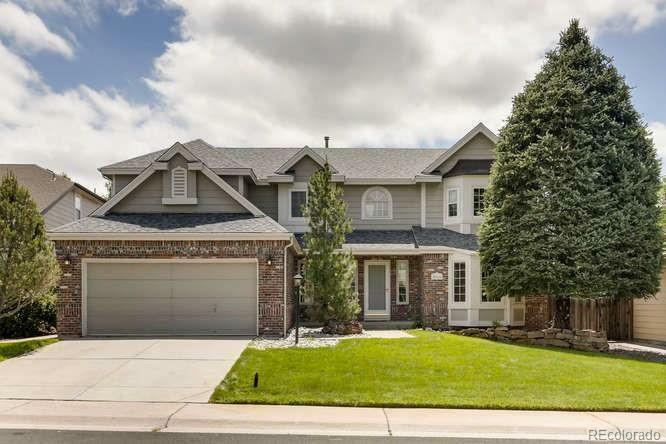 5 Bedrooms, 4 Bathrooms, Fully Finished Basement, Main Floor Study. Professional Landscaping with Sprinkler System, fenced, and large multi-level stamped concrete patio ready for entertaining. Charming curb appeal with attention to architectural detail (Very crisp & clean). Massive updated kitchen w/Professional Appliances that adjoins the family room with ample space for fun gatherings with friends, neighbors, and family. Quick access to Cherry Creek Schools, parks, shopping, and transportation. Beautiful backyard that backs to a Georges open space. The floor plan is amazing and feels grand throughout. New Exterior Paint, New Gutters, New Roof completed in July 2018. Main Floor Laundry. Community clubhouse, pool & tennis. Cherry Creek school district. Quick access to E-470, DTC, DIA & Southlands Mall.